The interstate industrial corridors, such as the Delhi-Mumbai Industrial Corridor (DMIC), and freight corridors like the Western and Eastern Dedicated Freight Corridors will have a very positive impact on the warehousing sector in India in the medium to long term. 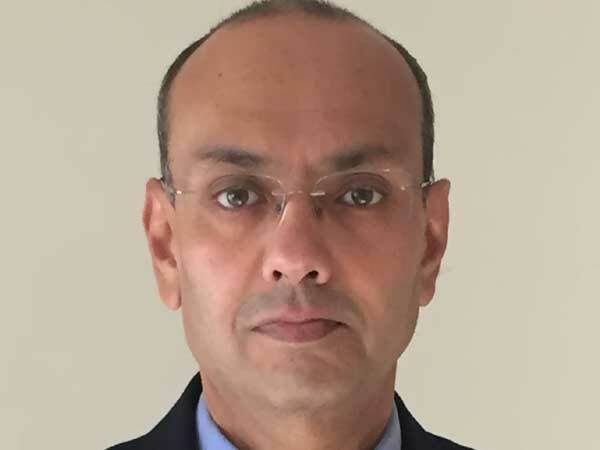 Also there is huge private equity investment coming into this sector, says Gagan Randev, National Director, Capital Markets & Investment Services at Colliers International India in an interview with Mini Tejaswi. Q: What is the current scenario in warehouse realty in India? Traditionally, the Indian warehousing industry is highly fragmented and unorganised and in the initial stages of development. We are still using 2PL and 3PL services while in the west, warehousing industry uses very sophisticated (up-to 7PL) services. Insufficient road network is a big issue in the country still. The warehouses lack modern facilities and IT infrastructure is almost absent in this segment. The major challenge from the real estate perspective for the warehousing industry is its inability to acquire suitable land parcels. The construction cost of a warehouse is negligible in comparison to the cost of land component. However, the imposition of GST has set the warehousing sector on new direction. The Government of India brought out the National Manufacturing Policy with the objective of increasing the share of manufacturing in GDP to 25 per cent. ´Make in India´, the government´s national initiative, places great importance on building best-in-class manufacturing infrastructure. Q: Which are the corridors that are currently seeing action in the warehousing space? Mumbai, National Capital Region (NCR), Bangalore, Chennai, Pune, Hyderabad and Ahmedabad, are all prominent locations. However, the majority of warehouses are mushrooming not in these cities but on major highways connecting them. Q: Is warehousing already on private equity radars? Warehousing is already seeing big-ticket investments in the country. The e-commerce expansions, broader tech-driven exposure and access are resulting in a big first mover advantage for India. As the economy is maturing, the country is moving beyond basic Manufacturing and Retailing and Transportation and Warehousing solutions to a greater dependency on comprehensive logistics operations and supply chain management. This transition is the major factor that would result in an increase in organised logistics players. The foreign companies, which are habituated to organised modern warehouses, are ready to pay a premium for smart warehouses. We need more tech enabled smart warehouses that can meet the emerging needs of companies. Institutional investors expect an IRR (internal rate of return) of 15-20% from warehouse development projects in India. Q: What is the kind of investments happening in warehousing realty in the country? The investments in warehousing have accelerated in the last 2-3 years. The Canada Pension Plan Investment Board (CPPIB) acquired a majority stake in IndoSpace, the warehousing and logistics real estate arm of Everstone Group. As part of this deal, CPPIB acquired 13 industrial and logistics parks totaling 14 million sq.ft. of space. The government plans to work with the state governments and the private sector to set up 34 mega logistics parks across the country. It has already allocated Rs 100,000 crore for such targeted development. Another global player Warburg Pincus, a New York based private equity firm, has set up a $12 billion global fund, allocating $500 million to investments in India. Last year, the firm entered into a joint venture with Embassy Group, investing $250 million to develop industrial parks and warehouses in the country. Also, Ascendas-Singbridge, a Singapore based real estate firm with over $10 billion in AUM floated a fund to raise $150 million to finance warehouses. E-commerce major, Amazon has committed to open 41 new warehouses this year at a total investment of $5 billion in India. DP World, a Dubai based maritime container handler, has pledged $1 billion to improve infrastructure and storage facilities in India. Apart from these, Investment Houses/Funds like Morgan Stanley, Xander, ESR are all aggressively looking at opportunities in this space in India. Q: What’s the future outlook for this space? The implementation of GST has set up a very exciting phase for the Warehousing industry. There is a huge demand for warehouses outside cities and towns from where goods can be shipped quickly and efficiently to customers. Besides investments from the investors mentioned earlier, e-commerce players are set to invest nearly $2 billion in the next few years in infrastructure, warehousing and logistics. With better infrastructure through efficient public–private partnership (PPP) models and initiatives like “Make in India” the demand will be huge for the packaging and warehousing sector. The search for well located, accessible and large parcels is already on at full steam. Indian cities dominated the ‘short term momentum ranking’ in JLL’s latest annual global report ‘City Momentum Index’ (CMI) 2018 with Hyderabad and Bangalore occupying the top two positions. The prospect of seeing a design develop from an idea to a complete project is an exciting experience for a brand that is looking to increase its momentum. Warehousing can be considered as an important driver of realty growth in the current scenario.